Paarl is the largest town in the Cape Winelands and the birthplace of Afrikaans - they’ve got the monument to prove it. This town is famous for its granite soil, resulting in a terroir that produces cracking good wine. 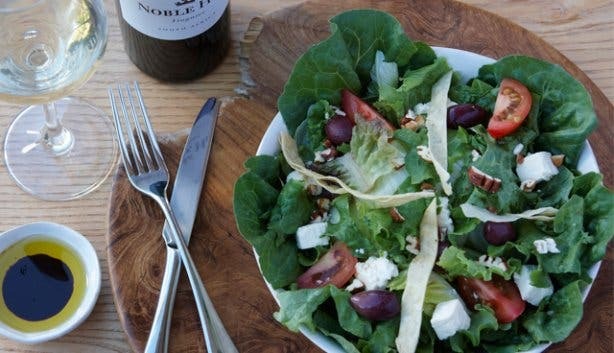 Wine estates in Paarl have an assortment of restaurants from simple, bistro-style menus to the more elegant affair wine pairing affairs. Located next to the farm’s harvesting area; Cosecha is inspired by vibrant, farm-fresh Latin flavours. Tuck into imaginative dishes such as, tequila marinated beef carpaccio or beef enchiladas with borracho beans. Wine to try: Noble Hill Chardonnay 2010 – showing hints of butterscotch and flint. Top tip: The estate also makes its own olive oil. With a history dating back 300 years, the stylish restaurant and terrace is secluded by vineyards and shaded by ancient oaks. Share a Winelands platter that consists of charcuterie, pâtés, pickles, preserves, farm cheeses and home baked bread. Wine to try: Laborie Méthode Cap Classique, it’s a steal at R68 a bottle. Top tip: Visit the Lazy Day’s Laborie market on Saturday mornings. 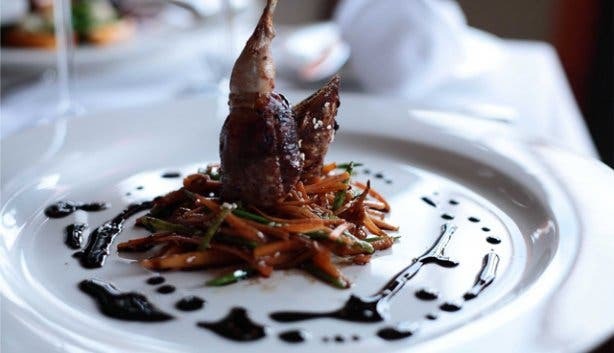 Tuck into South African, home-style meals including ostrich carpaccio, smoked salmon stacks and seafood platters from the â la carte menu. Traditional lamb on the spit is available every day during summer, in a stunning, garden setting. 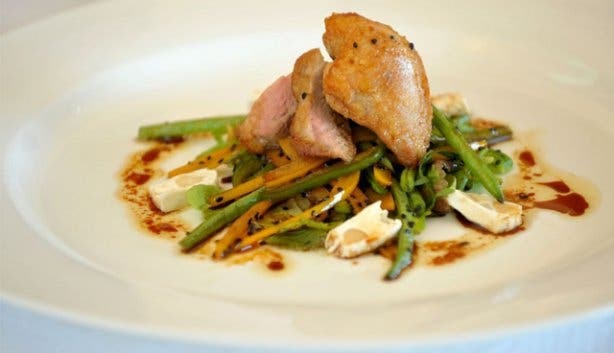 Read about our lazy lunches at Backsberg. Wine to try: Backsberg Family Reserve White 2009, a blend of chardonnay, roussanne and viognier, it’s all peaches and cream. Top tip: Backsberg is the first wine estate in South Africa to produce carbon neutral wines. 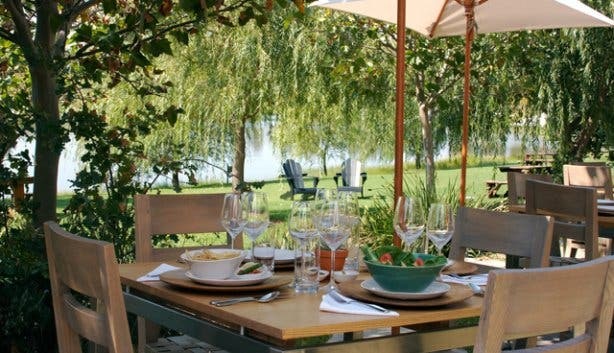 The wine tasting cellar is set in tranquil gardens, overlooking a dam populated with wild birds. Enjoy dishes ranging from gourmet burgers to homemade salmon fishcakes or simply try one of their platters, ranging from cheese to Asian-style snacks. Wine to try: Ridgeback Viognier 2009 has hints of orange blossom and a palate of peach. Top tip: Ask about their picnic spot, situated on a large granite rock in the middle of the vineyards. Settle in at this Mediterranean-style eatery and build a cheese platter paired with fresh farm bread. Sit outside for a view of Fairview’s famous Goat Tower or inside for a more rustic feel in the converted barn. There are daily specials too, everything from gravadlax to warming lamb stews. Wine to try: All of it! You can order all the estate’s wine in handy carafes. Top tip: Go for a wine and cheese tasting before your meal. 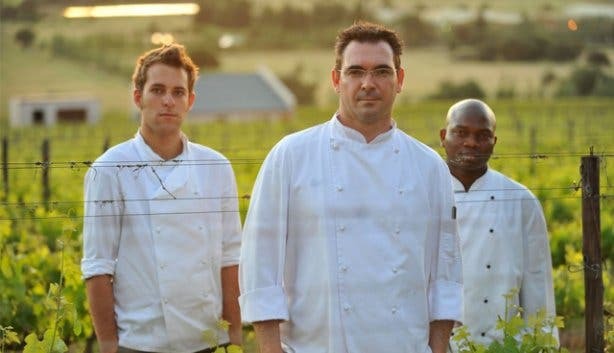 Chef, Elton Flack, has been creating South African and international dishes for the past 10 years. Enjoy inside Cape Dutch and Victorian architecture. Wine to try: Rhebokskloof’s flagship wine, Black Marble Hill Syrah 2006, won gold in the Syrah du Monde completion, France. Top tip: in winter, savour a robust gemsbok osso bucco. In a charming, old wine cellar, Italian pizzas are homemade and cooked in a wood fired oven. You’ll be treated to views of rolling fields, birds, animals and majestic mountains. Wine to try: Under Oaks Chenin Blanc 2010 - enjoy on a warm, summer afternoon or with fish and chicken dishes. Top tip: tuck into a Parma ham and rocket pizza, beneath enchanting oak trees. In summer, enjoy outdoor terraces, shaded by 300-year-old oak trees and in winter, a cosy restaurant warmed by log fires. Chefs combine Cape Malay cooking with seasonal produce. Wine to try: De Leuwen Jagt Chadonnay 2009 has a citrus nose and is light, pale grey in colour. Top tip: try Piadina – Italian flat bread folded with varieties of delicious fillings including Parma ham, salami and Mortadella. 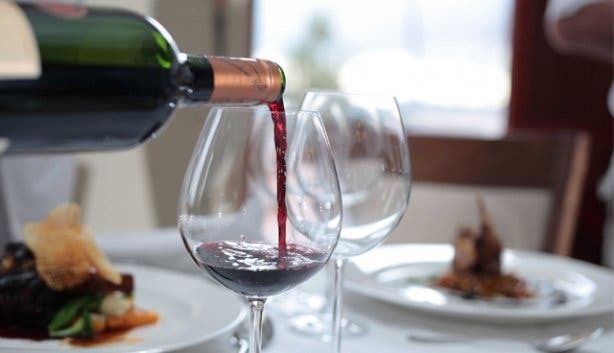 Read our overviews of restaurants at wine estates in Stellenbosch, Durbanville, Franschhoek, Somerset West and Constantia.